Welcome to Long’s Cabinet Shop where expert cabinet makers have been crafting custom kitchen, bathroom, home and office cabinets, custom-built furniture and entertainment centers, and more for over 40 years! We are known for expert quality, attention to detail, and great customer service; We settle for nothing less; neither should you. The single best way to increase the value of your home. 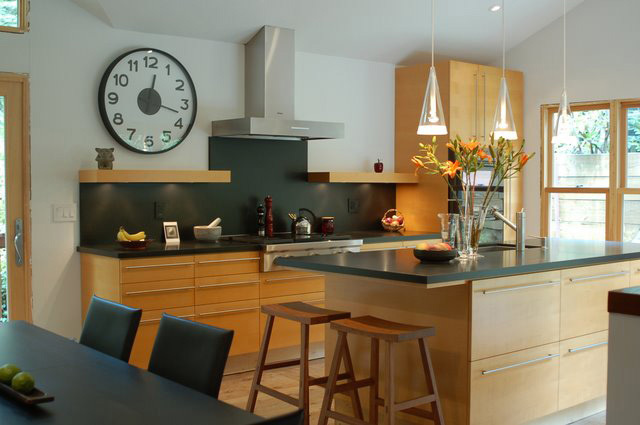 Whether it’s a kitchen remodel or a new home, with our attention to detail and insistence on quality, custom kitchen cabinets from Long’s Cabinet Shop will always impress and enrich. Our expert cabinet makers give you their word on it. See for yourself. 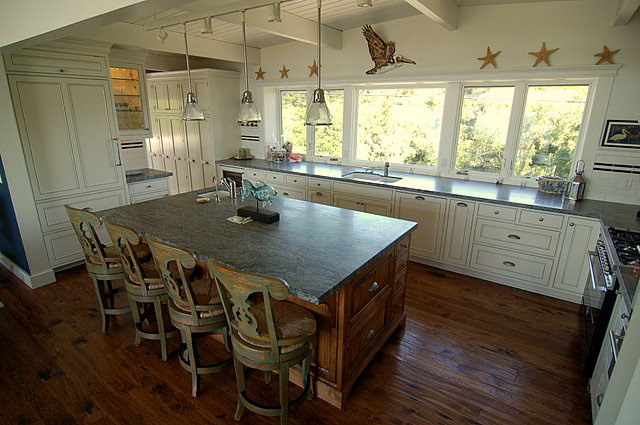 Take a look at our custom kitchen cabinets. Your bathroom may be small in size, but it’s not small in importance. And like your kitchen, a well-designed and expertly crafted bathroom with custom cabinets will add value to your home. So the expert cabinet makers at Long’s Cabinet Shop don’t skimp on the care and attention they put into your bath. As with everything they do, custom bathroom cabinets from Long’s Cabinet Shop are out of the ordinary; they’re extraordinary. See for yourself. 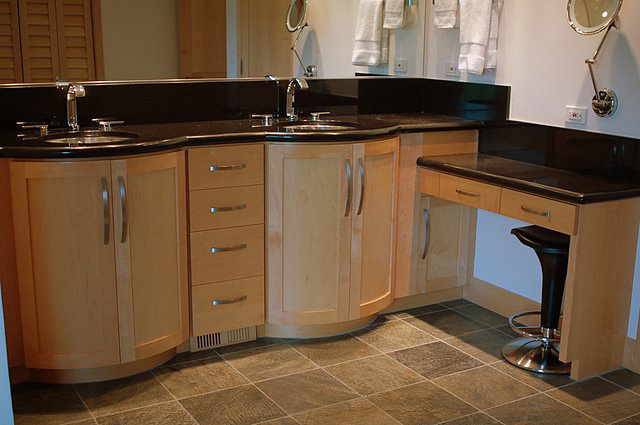 Take a look at our custom bath cabinets. We work with interior designers, architects and homeowners to build them exactly what they want or need in custom-made furniture. Bring us a picture, and we’ll copy it! We build custom tables, beds, chairs, whatever you can imagine. Or leave the imagining to us. Bring us your ideas, and we’ll bring them to life. Have it your way. Have it your size. Why try to fit your electronic components into spaces too big or too small? 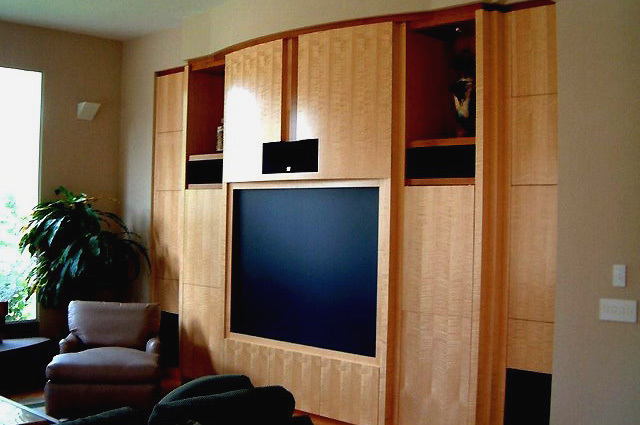 You don’t have to when you order a custom-built entertainment center from Long’s Cabinet Shop. We’ve been building the finest custom cabinets and furniture AND a reputation for excellence in Santa Cruz, San Jose, Monterey, San Francisco and all points in between for over 40 years! Through 3 generations, the expert custom cabinet makers at Long’s Cabinet Shop have been building a reputation for excellent design, quality workmanship, and attention to detail. Our goal is to increase the value of your home by providing you with the finest quality custom cabinetry and furniture available. We are known for excellence, both in our custom cabinets and custom furniture, but also in service. If you’re in need of custom kitchen cabinets, bathroom cabinets, or cabinets for your office, family room, bedroom, garage, or closets, you can be assured that cabinetry from Long’s Cabinet Shop will not only maintain the value of your home, but increase it. We also build the highest quality custom entertainment centers, furniture, architectural millwork, and more. 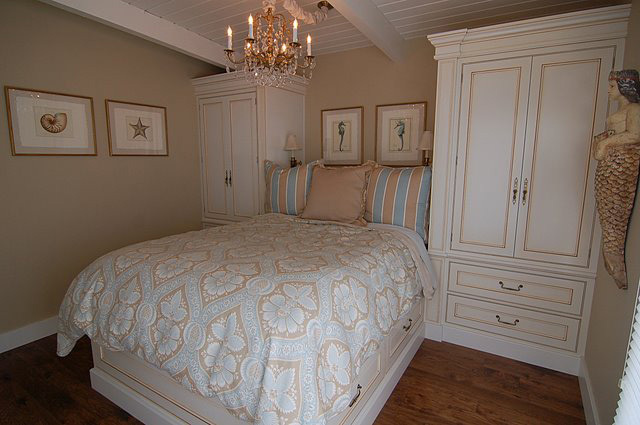 Every piece is built by a master cabinet maker who takes pride in his work from beginning to end! Please read more about our family-owned cabinet shop and about our commitment to quality. We truly appreciate Ron and Nathan Long’s sense of integrity and responsibility. They do first-class work and stand behind it. 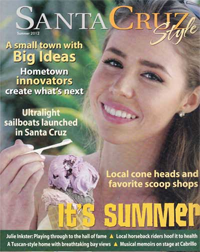 They are easy to work with, utilizing their own ideas as well as creatively expanding on those of their client. They always go the extra mile. Years in the business has given them extensive awareness of any irregularities inherent in a job (e.g. our very old, very out of plumb floors, walls, ceilings), so they are able to foresee and correct for problems before they arise. We’re very picky, but they’re pickier! We highly recommend Long’s Cabinet Shop Inc. for any job large or small. If you’re thinking of remodeling your kitchen, give us a call. Not only can we build your cabinets, we’re experienced in kitchen design and we can help you make the right decisions from layout, to wood, to hardware and finish.